This is one of the most creative spreads of this Berkeley Church wedding album. 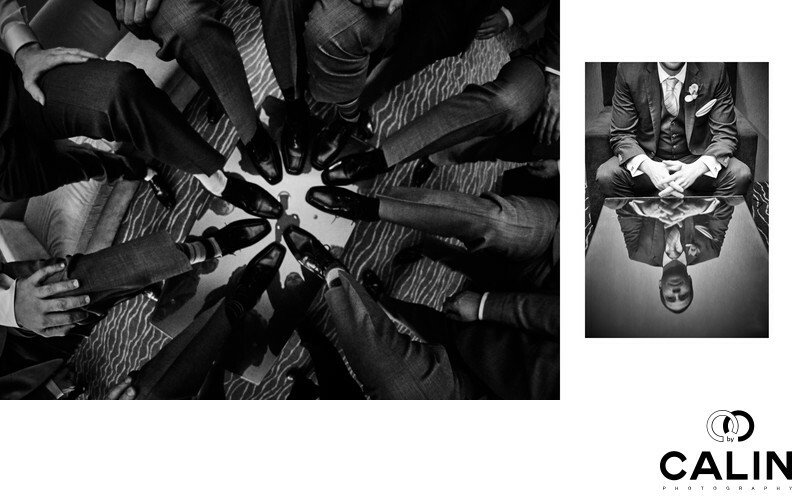 The left image is a quirky photo, showing the groomsmen placing their feet in a circle on the glass coffee table. The right photo shows the groom sitting in front of a glass coffee table and we can see his reflection, but not the actual face to create mystery. Both photos are black and white and I added some grain to give them a film look for the lovers of classic photography.